A while ago I heard about a new Social Media site called Steller. To be honest I can’t quite remember how I heard about it, but I joined up, got the app for my phone and then forgot all about it. Typical of me sometimes. Then the other day my friend Chris put it up on her site and I said, “hey what is it”. She told me about it and when I went to get it I realised I already had it. Finding yourself here on Social Media can be a puzzle. There are so many rules and ideas about what you should or shouldn’t be doing. So I thought I might talk about one aspect today. Your profile picture. My husband says I don’t have one because I am embarrassed about the way I look, and perhaps there is an aspect of that, but for me it has more to do with stereotypes and what people tend to think about when they see a woman of my age and size. So let’s start with what is a stereotype. That is a basic definition, but basically it means that you judge people on a preconceived idea of what or how they should act. It doesn’t mean it is correct, but you have that idea. We have a stereotype that pedophiles are creepy men, ones who look a certain way, when in reality they can look incredibly ordinary, otherwise why would you trust them with your children. My problem is that I am, first of all, a woman. Then I am older, I’m over 50 now, and thirdly overweight. I have three things against me when it comes to photography. We know that the world likes beautiful things, it is no secret, so what happens if you aren’t one them? I have experienced the stereotype first hand. When I have been out and met people for the first time, people who don’t know me, I’ve seen how they look at me and you can tell they don’t think I’m a very good photographer. They aren’t interested in me at all, as in the photography aspect. They are happy to to talk at me about themselves, but they don’t ask me any questions. It is almost rude. When I am with a friend who looks more like the stereotype I am ignored completely. Believe it is true, my friends have noticed as well. According to the National Association to Advance Fat Acceptance, sizeism is the fourth-most prevalent form of discrimination in the U.S. Yet only six cities (plus Michigan) have laws protecting against it. While stereotypes exist regarding all different body types — short, skinny, tall and so forth — those reserved for larger body sizes are particularly vicious. Fatness is often associated with laziness, poor hygiene and stupidity, assumptions that can have serious consequences on both a personal and societal level. So I have to question whether it is a good idea to put up a photo of me. For me this is a no brainer. If people have these stereotypes of what a photographer is, or what a woman photographer should be and I don’t fit the profile, then I am going to be judged as soon as they see that photo and my work becomes irrelevant. Whereas, if I just have my avatar then it is doesn’t matter who I am and what I do, people fall in love with the work first, well I hope they do. I know so many are thinking I’m being silly, but it seems to be something that only women who are similar to me understand. When I explain it to them, they totally get it and agree. It is sad to think it happens, but there is no point pretending it isn’t a problem. My view is use the avatar that I have on all social media, if people love my work and then we meet then hopefully by that stage they don’t care what I look like. I use the same avatar on everything, it is me. I don’t see the point of the face, or the camera in front of the face, or just the camera, there is a sea of those images out there. I like that my avatar stands out and as people get to know me they recognise it. Hopefully they are silly enough to think that I have to have a photo of me for them to understand I am a real person. You all know that I’m real, right? What do you think of stereotypes and how people view some groups of people? We hear about inspiration everywhere and to do what we do, we have to have some kind of inspiration. What I think is inspiring won’t be the same for you, and vice versa. If we know what truly inspires us it can make our work so much easier. One of things that I get a lot of inspiration from is movies. There are films that I find really visually appealing. Perhaps the actual story may not be great but how it looks and what they have done to it is fantastic, to me. I can name a few movies that I find inspiring, The Matrix trilogy, Lemony Snicket, and The Day After Tomorrow. Do you have some favourite films that give you inspiration? As usual I have some of the photos that have been on Social Media this week. This was taken on top of a cliff near Anglesea. I took it earlier in the year. I’ve been finding some older photos to show on Instagram. A long exposure of a small pier near Watson’s Bay. I took this just after I first got my filters from Formatt Hitech. I was playing around with them to see what I could get. This has been my most popular photo on Instagram ever. It was shared on a couple of other sites which was nice. It has also had more likes than any other image I’ve ever put up. One could say it is one of my most successful images. I’ve even sold it. This is a new image that I did yesterday for Social Media. I made the blacks darker to give it a silouette look. Normally I hate people in my photos, but they do seem to work in this one. We were at the Golden Gate Bridge in Crissy Field trying to get a sunset, we didn’t get much, but I liked this. I did this image today. It is a very popular place to take photos in Melbourne, well with some of us. Part of a beautiful building. I like this walkway which is beside it. There were other photos, but I have already shown those to you in other blog posts. There is no doubt that you can get really caught up in Social Media. You can spend hours on it, but you do have to find a balance. We know that we have to use it to promote ourselves, so where is that balance? The more you use it the more promotion you get, but then you get stuck on it and you don’t get any other work done. I don’t have an answer for this, but I’m working on one and I may have some suggestions. A trip to St Kilda Pier at sunset. It has been suggested that you need to work out which platforms will get you the best benefits. There is no way anyone can maintain them all. You have to select which ones will be best for you and which ones will you be able to use. I use Instagram, Flickr, Facebook and do a little on Twitter. A bee captured in the kitchen garden at Heide. My favourite at the moment is Instagram. I’m trying to build up my following there and at the moment it is where I am spending most of my time. I’m looking at lots of work and seeing how others use it. I’m also trying to use it for our magazine, Dynamic Range. The number of followers is slowly increasing. If you want to follow the Instagram page here is the link: Dynamic Range Magazine. The other day I went to the city around sunset and captured this. One thing that has been good about it is getting me to process a lot more images. Though, not just for Instagram, but also for Flickr and even more so for this site and blog. I used to do photos for my other blog and then talk about what I did to them, or the thoughts behind the process. I really want to start doing that again, but here. A bug carcass that I saw while looking at waterfalls near Lorne. Instagram also means that I can go through old photos and use them again. It has been nice to have another outlet for them. I post everyday, sometimes twice, but that is rare. There is a philosophy about how often you work and that you shouldn’t post too much. People do get annoyed if you post too much and will stop following you. I keep hearing that you have to allocate time to do it. Set aside an hour a day or something like that to spend on it. Limit the time or the whole day will go and you won’t get anything else done. A boat moored at the Mordialloc marina at sunrise. There are other sorts of Social Media, but Instagram seems to be the one at the moment. All the things I’ve been looking at are saying we should use it. I’ve increased how many followers I have, and that’s been great, but I haven’t seen a lot of benefits from it yet. When I do, I will let you know. The downside is also that it is all about numbers. People take notice of how many followers you have. They even take notice of how many you follow. If you follow too many it doesn’t look good, apparently. Then there are the people that will only follow you if you follow them. Strange game. Good luck if you decide to go that way. The photos today are ones that have been on social media this week. 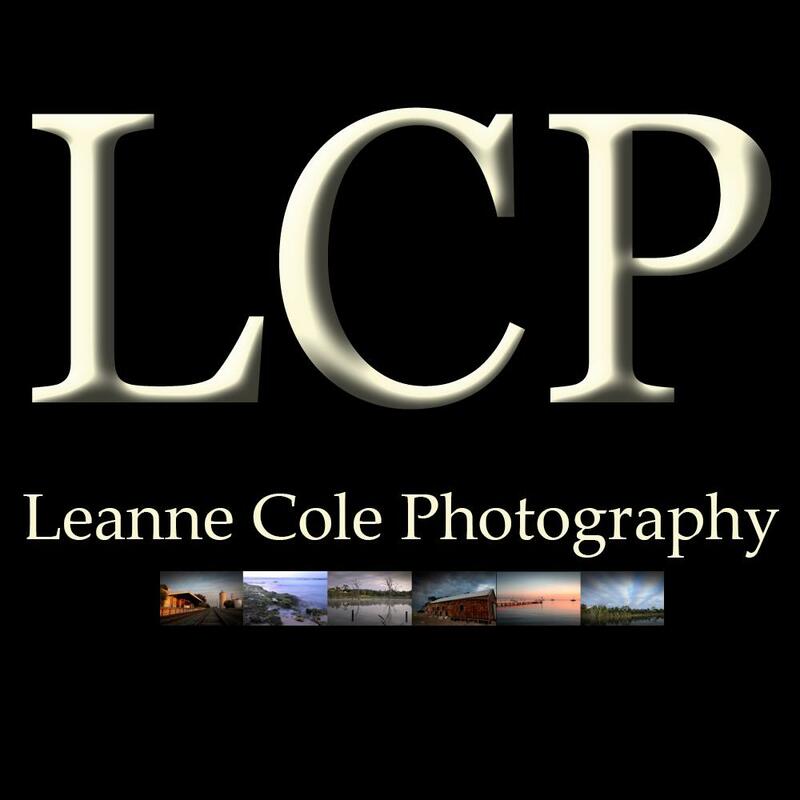 If you want to follow me, here is the link to my Instagram page, leannecolephotography. Some decisions have been made recently and one of them is to do my posts on two blogs. This one and the main one I’ve always used. I would like this one to become my main blog, and in time I hope everyone will find their way here. Some other changes are going to happen as well. I plan on cutting down on how often I blog. I think I will go to four times a week, and see how that goes. I need to find some time to do some other things, which I am excited about. My posts on Friday are going to combine my Bits and Bobs post as well as looking at images I have put up on Social Media. Social Media seems to be a very important aspect for any photographer these days. With that in mind I’ve been trying to use it a lot more and putting more photos on certain platforms. I have been building up Instagram and trying to put one or two photos up there each day. It has been good going through all my older images and seeing what I can put up. I have also worked on some new images. I really like how my Instagram account is looking. I hope you enjoy the new and old photos. A fine art image from the Melbourne Flower and Garden Show. An old cemetery in Heidelberg. An old house that was abandoned for the Cairn Curran Reservoir. The city of Melbourne, looking down the river towards the walking bridge to Southbank. Sunset over the pink lakes in the Murray Sunset National Park. A fine art rose from a rose garden in San Jose. The old brick pillars that used to hold up a railway bridge over the Loddon River, now part of the Cairn Curran Reservoir. A bedroom in one of the abandoned houses in the Ghost Town of Bodie in California. A long exposure of a old Church at Emu Flats. Hopetoun Falls in the Beeches forest near Apollo Bay. There have been some people who have asked that I show some images of what the inside of the magazine looks like. Here are four samples of pages that can be found in the latest edition. If you haven’t got your copy yet then here is the link.